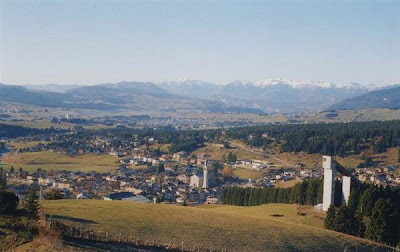 Asiago cheese from the Veneto Region of Italy is controlled by the DOP (Denominazione di Origine Protetta) rules of that country and hence must meet the defined quality standards. Imported aged Asiago is one of the better values in the cheese case, delivering abundant character at under $15 a pound. It costs money to age cheese, not only in the inventory cost but also in the moisture loss and consequent weight loss that occur over time. The payoff is flavor: more aromatic compounds, concentration and a longer finish. A cow's milk cheese made for centuries in the high plains of northeastern Italy, near Vicenza, Asiago has historically been aged, sometimes as long as two years. 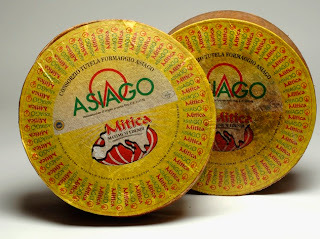 But to accommodate modern demand for a sweeter, milder cheese, Asiago producers now make a range of styles. Fresh Asiago, is typically only about a month old, it can offer aromas of sweet milk and fresh grass. For aged wheels, producers use partly skimmed raw milk. (The fresh wheels are made with whole milk.) The curds are cooked to a higher temperature than they are for the unaged wheels, so the curds expel more moisture. After the curds are transferred to molds, they are pressed to drive off yet more whey, then they are salted -- either with dry salt or brine. Finally, they head to the aging room where they spend anywhere from three months to a year or more. When released at three to five months, Asiago is known as mezzano, or medium-aged. After nine months in the aging cellars, it's entitled to be called vecchio (literally, old). The color of the cheese will deepen with age, but at the mezzano stage, you can expect a firm, golden interior with few or no eyes. The aroma is initially fruity -- think dried apples and citrus peel -- followed by faintly nutty, brown-butter or caramel notes. A highly savory cheese, aged Asiago dissolves slowly on the tongue, leaving behind a balanced impression of sweetness, salt and acidity. As it matures, it becomes more piquant and spicy. Most people would probably reach for a big red wine with aged Asiago. A fruity red with moderate tannins, such as a young Merlot, would work, but sparkling wine would be an equally successful and less conventional choice.